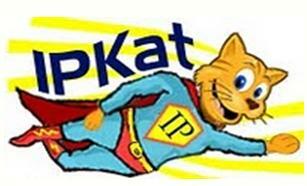 The IPKat is pleased to announce the appointment of a seventh member of its team, and a very special member he is too. Now that the formal approval of the World Intellectual Property Organization (WIPO) Coordination Committee has been obtained, following an out-of-cycle meeting that was convened late last month, the path has been cleared for the organisation’s Director-General Dr Francis Gurry to assume the mantle of the GurryKat. The terms under which Francis has been permitted to contribute to this weblog are strictly circumscribed: he may not comment on specific provisions of national law of WIPO Member States; nor may he discuss (i) matters which are the subject of review by the organisation’s Standing Committees, (ii) topics that have been placed on the Agenda of the General Assembly or (iii) any matter that properly falls within the scope of the organization’s Development Agenda. 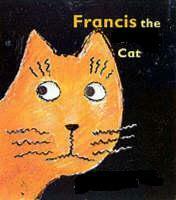 Francis has however been the go-ahead to post items relating to the provision of mediation and dispute resolution services, the value of intellectual property rights in social, cultural and economic dialogue between nations and the aspirational role played by intellectual property in incentivizing the next generation of young creators. Prima facie it seems surprising that the Director General of a United Nations agency should be prepared to expose his thoughts to the robust forum of thought which is the intellectual property blogosphere. In retrospect, however, one can see why Dr Gurry would have agreed. While he is a career diplomat who respects the rules and conventions which that role demands, those close to his office say that he has in recent months been seen to have been showing signs of being a visionary in his field, a role that is difficult to fulfill within what the IPKat and Merpel would regard as the chafing confines and stifling etiquette of the diplomatic environment in which he dicharges his official functions. In a presumably unrelated development, the WIPO Council has approved in outline the establishment of a two-tier “watch-list”: there would be an “A-List” of intellectual property weblogs which are considered to be potentially harmful to the intellectual property environment and a “B-List” of those which are seen as being positively detrimental to the aims and objectives of rights protection. Weblogs on the “A-List” will be monitored by a panel of peers for signs of deviation from the generally agreed norms of intellectual property blogging. Egregious breaches of these norms will be met by the issue of a warning notice. Under a proposed “three strikes” policy, any blog receiving three such warnings will be transferred to the “B-List”. It is intended that weblogs placed on the “B-List” may only be accessed by clicking through a front page which carries an IP “health warning” that its contents are contrary to good intellectual property policy and morals. If there is any further infraction, the weblog will be taken down and the blogmeister will be ordered to undergo an initial six-month period of rehabilitation in which he will be required to read a prescribed list of corrective materials which reportedly will include all publications that emanate from the WIPO Press Room. In response to a request for further information made by William New of the excellent and ever-reliable Intellectual Property Watch, which is based locally in Geneva, a spokesperson –who asked not to be identified by name — explained that neither list has yet been ratified, but possible blogs for inclusion on the “A-List” include Howard Knopf’s Excess Copyright, which is known to have targeted the much-admired United States ‘301 reports’, Gene Quinn’s IP Watchdog (for shameless self-promotion) and Marty Schwimmer’s Trademark Blog for persistently applying humour to serious issues and vice versa. Favourites for inclusion on the “B-List” are the Lessig Blog, which is generally held responsible for undermining copyright values among impressionable young readers and remains visible nearly two years after its author went into hibernation, Against Monopoly, for allegedly defending the right to innovate, and the IPKat for its persistent criticisms of WIPO’s failure to protect the rights in its own logo [“surely some mistake!”, whimpers Merpel]. Implementation of these proposals may be accelerated to ensure that they govern blogposts from the GurryKat, who has affirmed his willingness to be bound by WIPO’s weblog protocol.